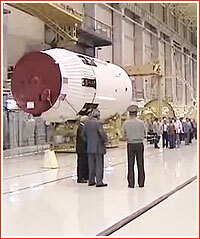 The second stage of the Angara launch vehicle is known as URM-2, which stands for Universal (or common) Rocket Module No. 2. From the publisher: Please help to keep this site open and current! The pace of our development depends primarily on the level of support from our readers. 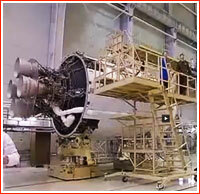 Angara owes its unusual appearance to the URM-2 upper stage whose diameter of 3.6 meters makes it wider than the 2.9-meter first-stage booster below it. 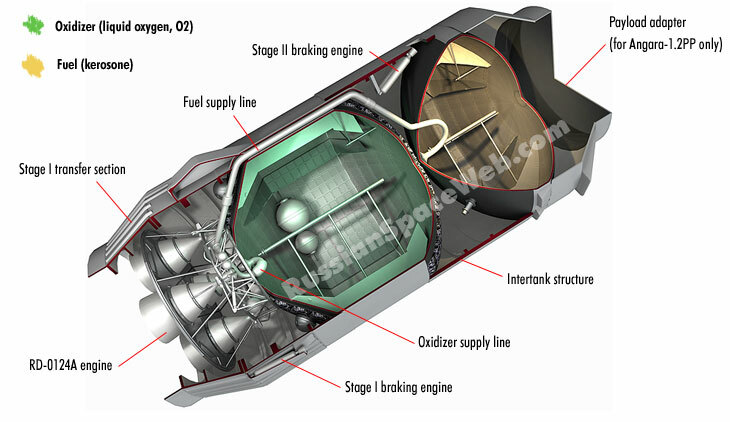 Like the first stage, the URM-2 uses liquid oxygen oxidizer and kerosene fuel. However, on the URM-2, the kerosene tank is installed in the upper position, with the liquid oxygen tank below it. 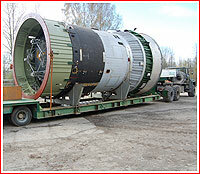 The stage is powered by the four-chamber RD-0124A engine, adapted from the third stage of the Soyuz-2 rocket. There was also an alternative proposal to use a pair of one-chamber RD-0125A engines with a total thrust of 59 tons on URM-2. 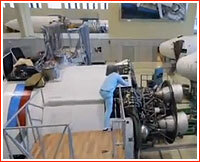 The new engine would lower the cost of the stage and increase its payload, but it had never been developed. All electric connections, fueling and thermal conditioning of the URM-2 stage on the launch pad is accomplished via quick-disconnect umbilicals, BRS, of the stationary service tower. According to the original plans, the URM-2 stage was supposed to be used on both types of the Angara launch vehicles approved for development -- the Angara-1 and the Angara-5. 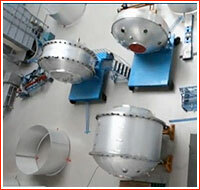 Ultimately, the decision was made to develop a custom-built stage for the Angara-1 and use the URM-2 on the Angara-5 only. (The Angara-3, if ever built, could also use URM-2.) Still, during the first inaugural launch of the new rocket family, the URM-2 stage would fly as the second stage of the first Angara-1 rocket. It was not intended to reach orbit, but was programmed to fire its RD-0124A engine, testing flight performance of the entire stage. 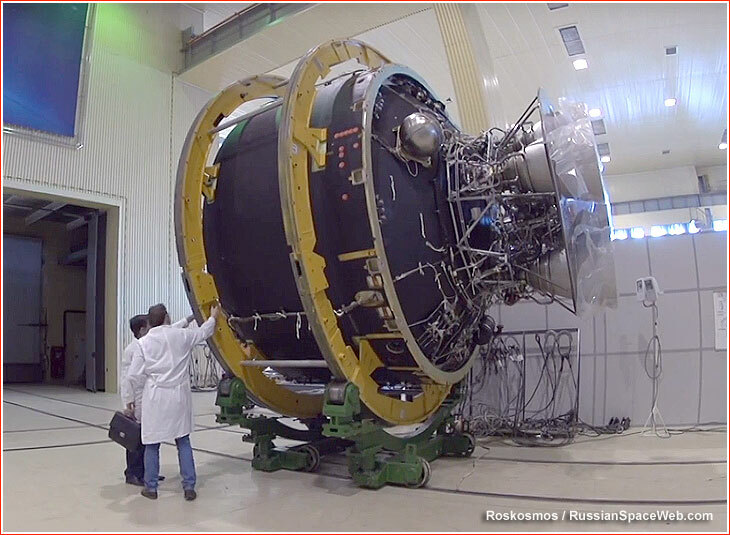 As a result, by the time the Angara-5 rocket is ready to fly, the flight-tested URM-2 would be ready to serve as the third stage. Propulsion system and oxidizer tank of the URM-2 stage. *includes the 100-kilogram lower transfer ring.